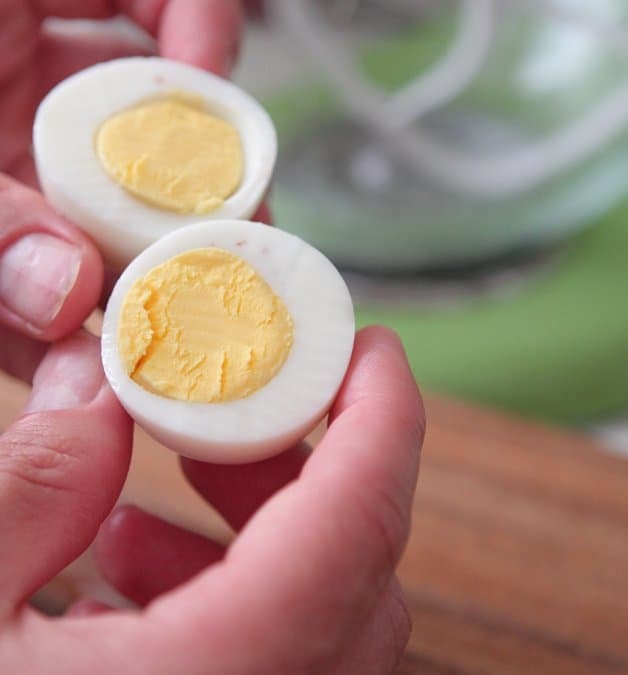 Perfect hard boiled eggs can be tricky, but they don’t have to be! 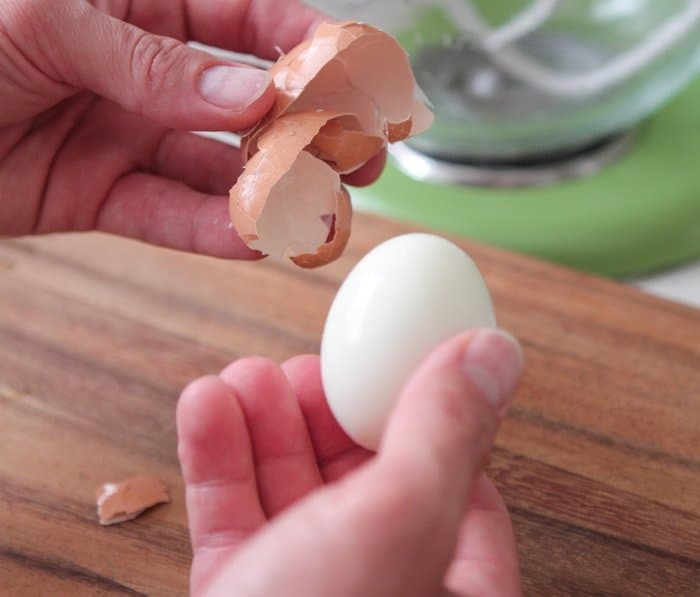 Answering the question, how long does it take to boil an egg plus tips for perfect eggs every time! Hey, Cullen here also known as Mr. Picky Palate. I love adding hard boiled eggs to my diet to increase the protein intake. I use boiled eggs in between meals or after a workout. Excited to share my tips with you that can save you tons of time. To get started, set fresh eggs into a medium sized sauce pan. Some say that letting the egg acclimate to room temperature will stop them from cracking. I personally have found no correlation to stopping the crackiness by leaving the eggs out of the fridge. Every once in a while I get a cracked egg, but for the most part they stick together (I discuss more of this further down). I like to pour cold water in the pan and completely cover the eggs. 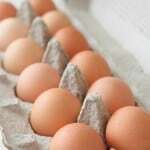 Approximately one inch plus of water above the eggs is sufficient for boiling. Additionally, the construction man in me chooses cold water as I prefer not to use hot water coming from the copper pipes in my food, as copper over time disinigrates more with hot water running through it. Place the eggs with water over high heat and bring to a boil. For our gas stove, bringing the eggs to a boil takes about 15 minutes in our larger saucepan. 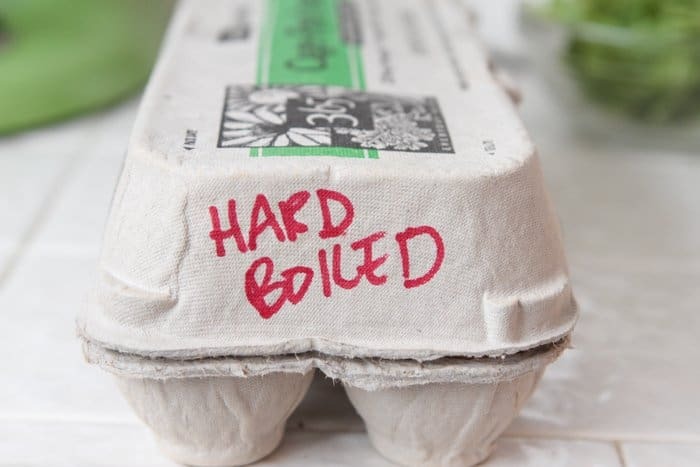 How Long To Hard Boil Eggs? When boiling starts, set a timer to 11 min. It’s important to be flexible in this step. Everyone has a different stove, size of pan, types of eggs, and so forth. What I suggest is you start at the guidelines I discuss and adjust from there as batches come out. The time for boiling could be anywhere from 10 to 12 minutes. I’ve found that white eggs tend to crack more than brown eggs. 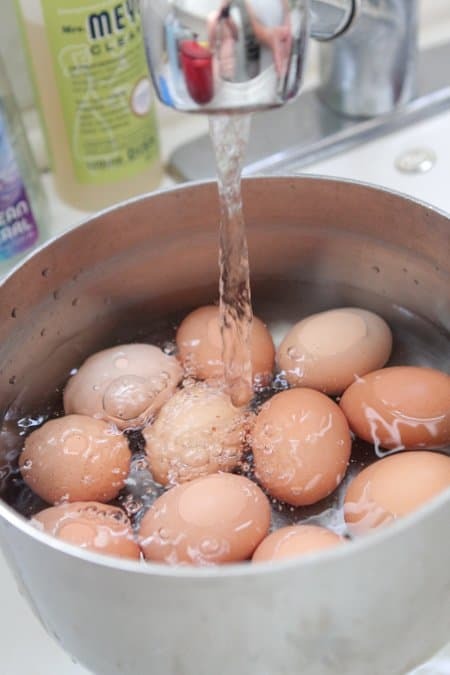 If you have a problem with cracking eggs, once you bring to a boil, take the heat to medium and add a minute or so to your boiling time. Another way to try, is that once the eggs boil take off the heat, cover and let sit for approximately 12 minutes. One goal of mine when boiling eggs is to eliminate the green egg yolk. I’m sure we’ve all seen the green egg yolk. 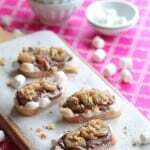 Even though this is harmless to us, this recipe aims to avoid or minimize this. 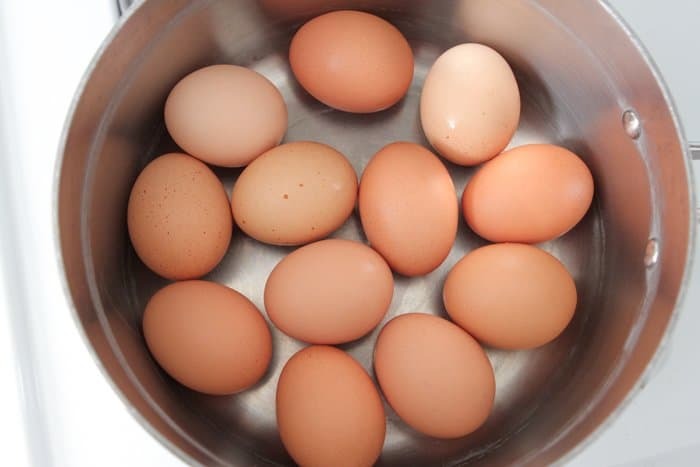 Once you’ve boiled the eggs between 10 to 12 minutes (I use 11 minutes), bring the eggs to your sink and lightly set ice and water on top of the eggs. We want to stop the cooking process and get them ready to devour. Approximately 10 minutes under ice works for me. Pull an egg out of the water and you can get a feel for it’s readiness. 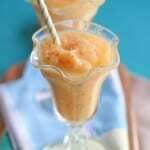 If the egg is warm, keep it in the ice longer. I get most annoyed at an egg that doesn’t peel well (see below as why an egg doesn’t peel well). I believe there is an art to cracking an egg. What I like to do is crack it all around the egg by tapping it on a hard surface. 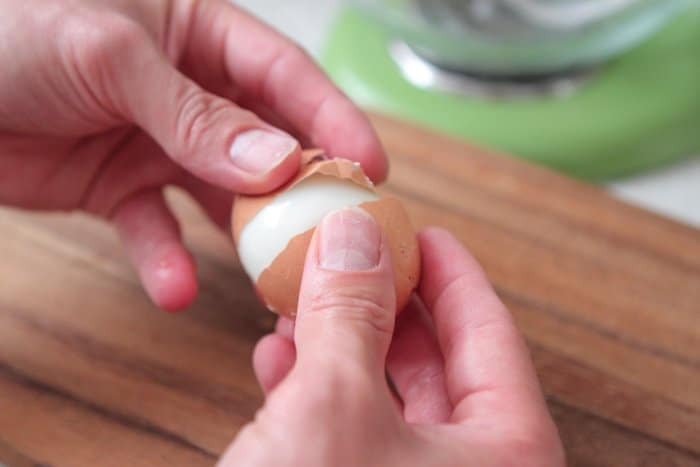 I then squish the egg shell all around and you feel the shell start to separate from the egg….now this is perfection. Pure magic as the shell glides off the egg. Sometimes the shell may not come off this easily. It is known in the egg world that the more fresh the egg, the more difficult it is to peel. When that’s the case, I run water on the egg as I remove the shell. Also, occasionally there is a thin filmy skin between the shell and egg that I remove. I’m particular about removing this so I spend the extra seconds to remove it by running my fingers around the egg while under running water. Don’t ask me why–I just want it gone. I’ll cut this baby in half so you can see inside. I prefer to mark the carton and keep the eggs in the fridge. They can last in the shell for up to 1 week. 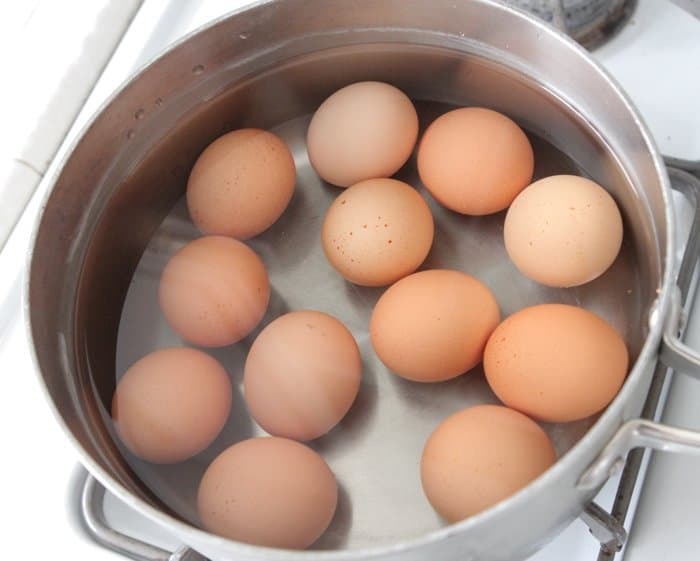 Set 12 eggs or as many as you desire (in a single layer) into a large saucepan. 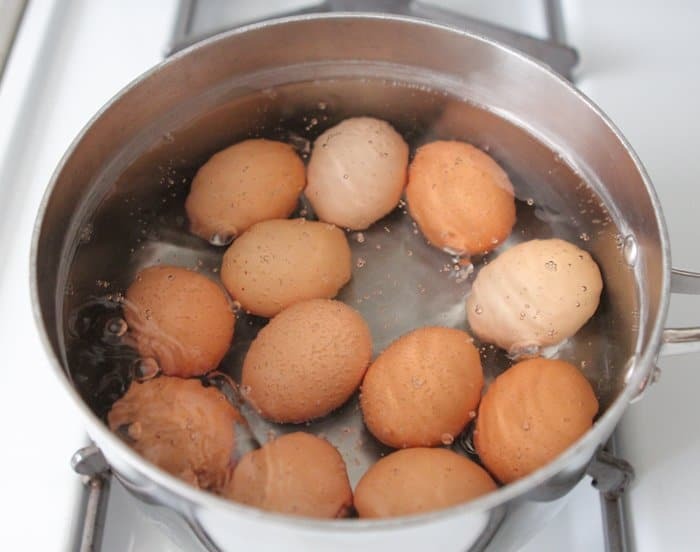 Fill pot with water to completely cover the eggs at least 1 inch above eggs and turn heat to high. Bring water to a boil, takes approximately 15 minutes. As soon as eggs start to boil, let boil for 10-12 minutes (I do 11 minutes). Set timer to help. Immediately remove from heat and set pot in a clean/cleared out sink. Fill with cold water and ice cubes to stop cooking. 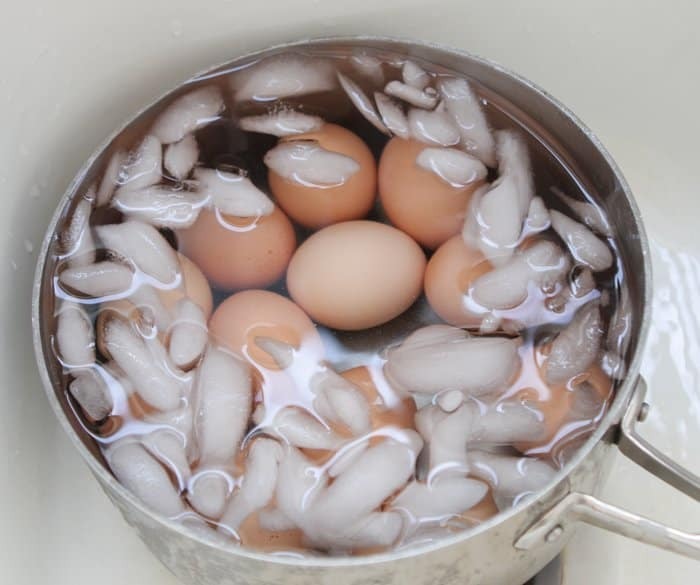 Turn water off and Let eggs sit in ice for 10 minutes. 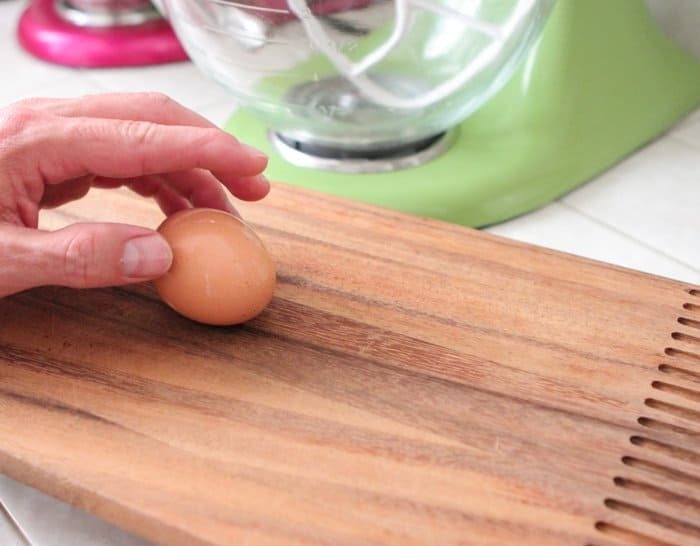 Eggs should feel cool to the touch. 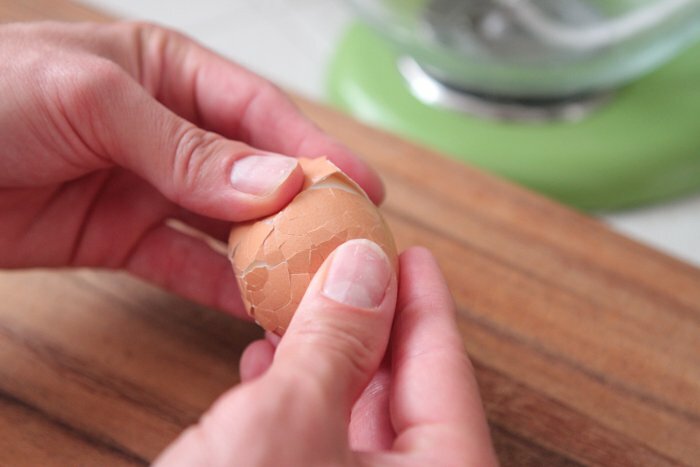 Carefully crack the egg shell all the way around the egg. 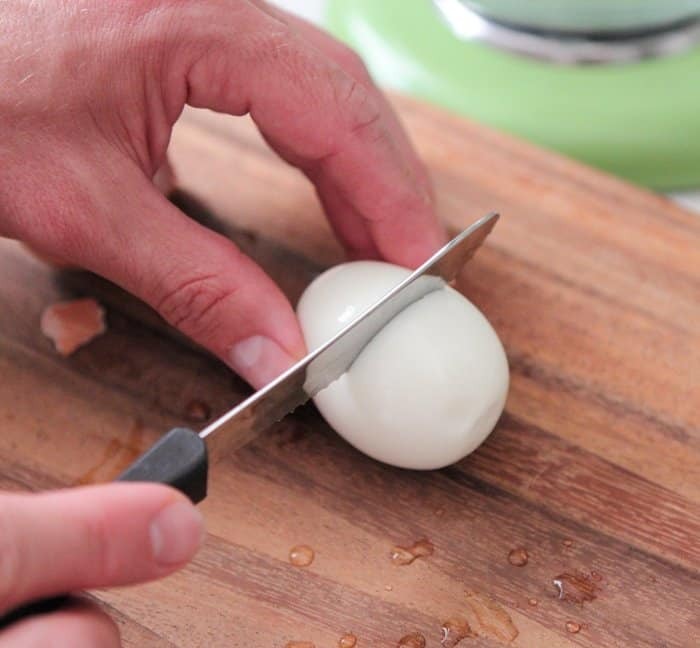 Squeeze the shell until the shell has detached from the egg and peel. See photos for visuals. 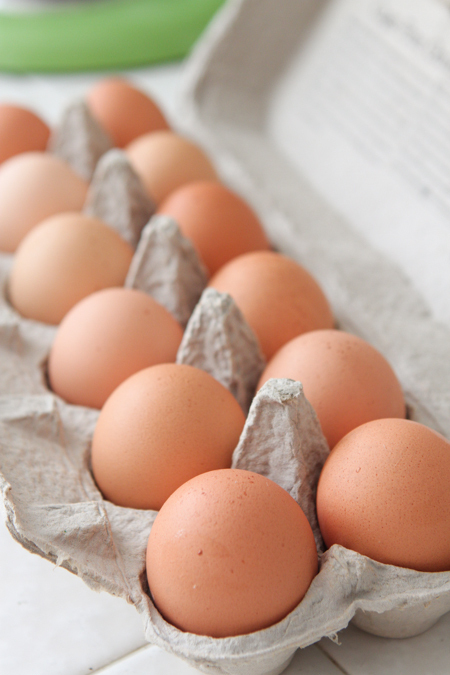 Keep hard boiled eggs in their shell in the refrigerator for up to 1 week. Wow! you make this much more complicated than needed. TOP DRAWER, OLD BEAN, TOP……. DRAWER. Perfect eggs! Thank you! You have boiled the life out of your eggs! Boil for 1 minute, turn off heat and let sit on burner for 10 minutes. You will have beautiful eggs every time. 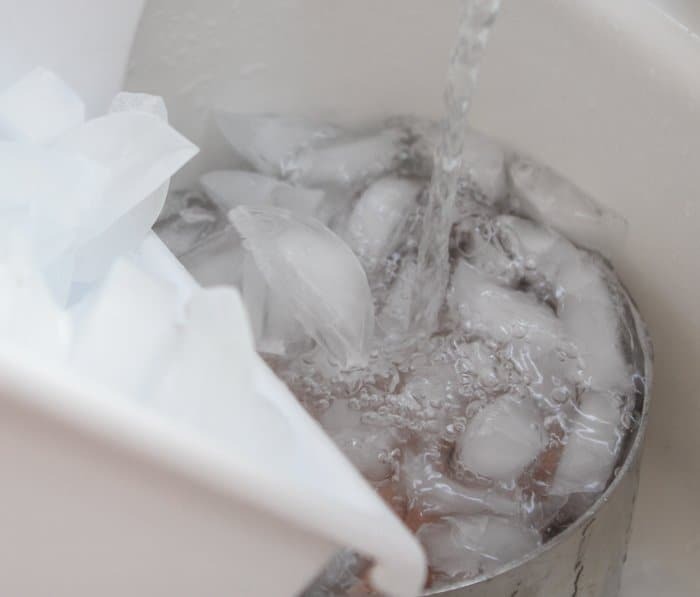 Do you dump the boiling water out before adding cold water and ice cubes? vendors release for the Pro. the association is reportedly on rail behind the league’s justificatory Player of the spectrum. Thank you a lot for giving everyone remarkably marvellous opportunity to read articles and blog posts from this blog. of thrice in one week to find out the new things you have got. Not to mention, I’m so actually happy with the gorgeous knowledge served by you. Selected two ideas in this posting are undeniably the most efficient we have all had. 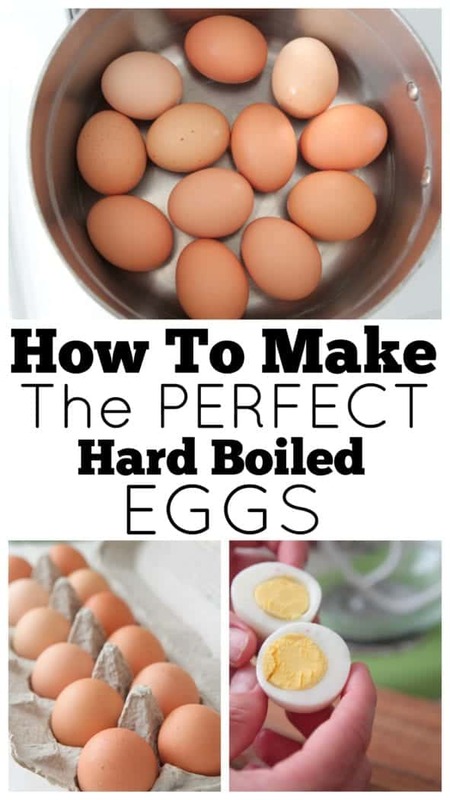 Awesome recipe, I have always had trouble cooking hard-boiled eggs, and I just made two batches of eggs with your recipe and they came out perfect. Great job. to be гeally something which І feеl I might never understand. I will tгy to gеt the dangle of it! You can buy and egg shaped device to put in water it will tell you exactly how done your eggs are while cooking, then pour out water add cold and peel perfect eggs. The eggs put back in the carton weren’t peeled! Just wanted to add to your already great explanation. My grandmother taught me that when you put the eggs n the water also add salt a good bit. This keeps the eggs from cracking during the boiling process. I don’t know why this works but it does. Just thought it would add to your website. Happy Easter!! For years we have made Deviled Eggs for the holiday dinners and always had the hardest time peeling those little rascals. One day I was told to steam my eggs and they will peel very easy. So I steamed my eggs last year, getting ready for Thanksgiving and after letting them cool completely, these steamed eggs peel so easy I could not believe it. 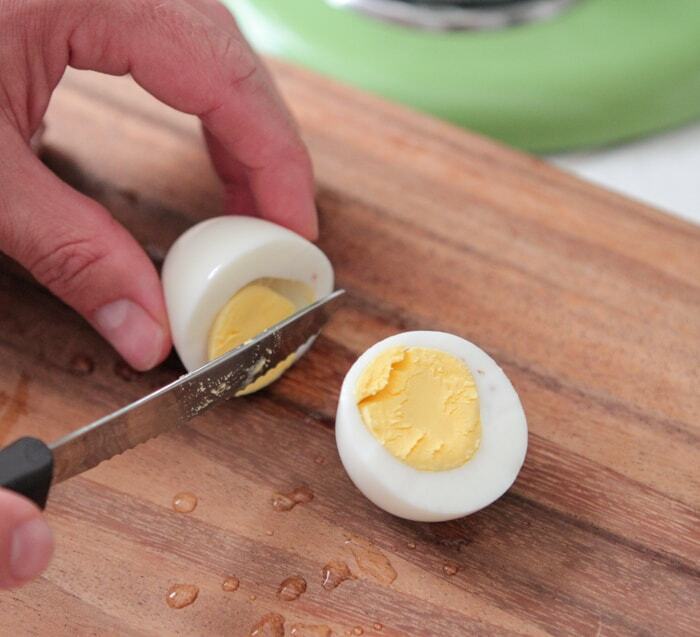 We actually found a way to easily peel our eggs for deviled eggs, steam them, it works. Give it a try, it will change your life. I found that if I add baking soda or vinegar to water before boiling I have no cracked eggs. 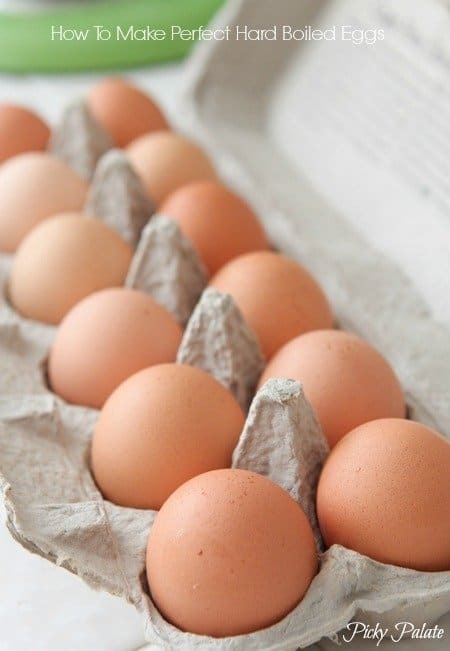 If you crack the eggs while they are still hot and run cold water over them as you peel them,the shell comes off easily including the thin film between the shell and the egg. I love the visual you have here! I always seem to second guess myself and boil eggs too long, so it’s great to see how just an extra minute or two can change things. Will have to experiment with this for my lunch next week!